Finally had the chance to get up close and personal with Burt's Bees products after listening to all my friends talking about how good their products are. There was a blogger party held at M Marini Café last week and it was also the launch of Burt's Bees all new creamy matte lip crayons. 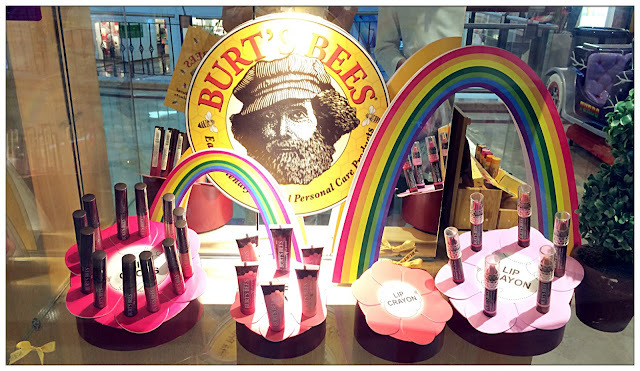 For over 30 years, Burt's Bees has been offering distinctive earth-friendly, natural health and beauty care products to all the beauty lovers worldwide. From a beekeeper's backyard in Maine to the leading edge of natural, Burt's Bees knows natural body care solutions and beauty products from head-to-toe - No phthalates, no parabens, petrolatum or SLS and also no animal testing. 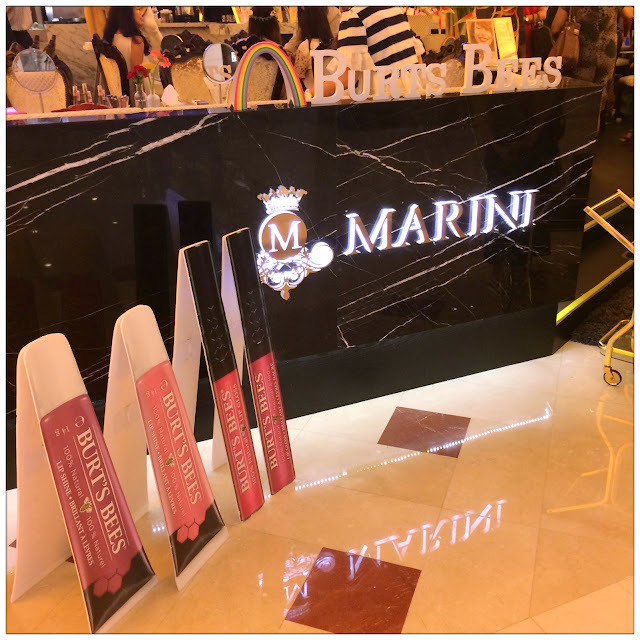 Their commitment towards natural products are undeniable and they promised to stick to The Natural Standard, maintaining the highest ideals and they never take the easy way out. 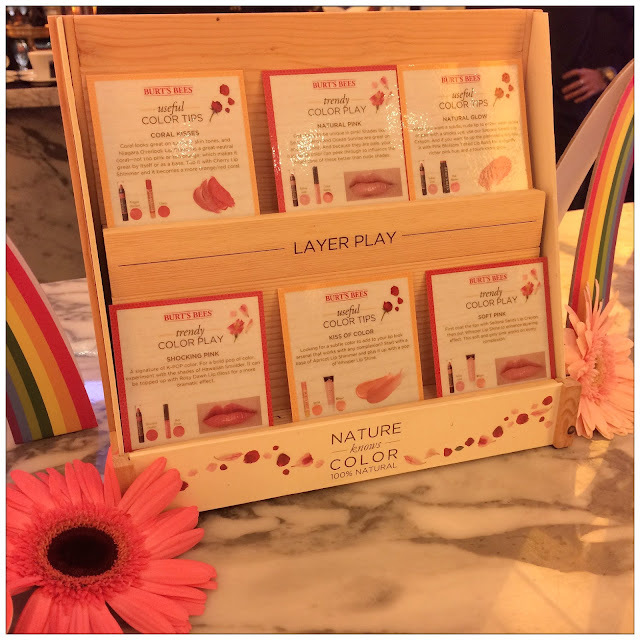 It's such a great news to know that there are beauty products that are formulated 100% naturally which you get great colours on your lips at the same time, care for your lips. 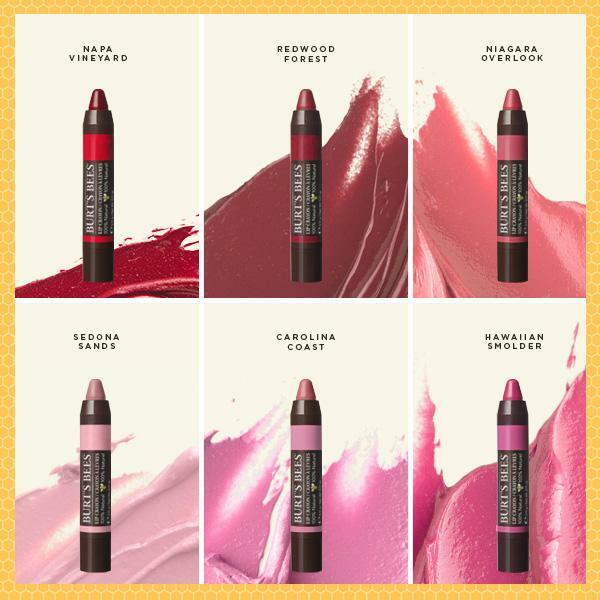 This moisture rich lip crayons by Burt's Bees are insanely good - full coverage shades, lightweight moisture and comfortable everyday wear formula infused with Shea Butter, Kendi Oil and Jojoba Oil. 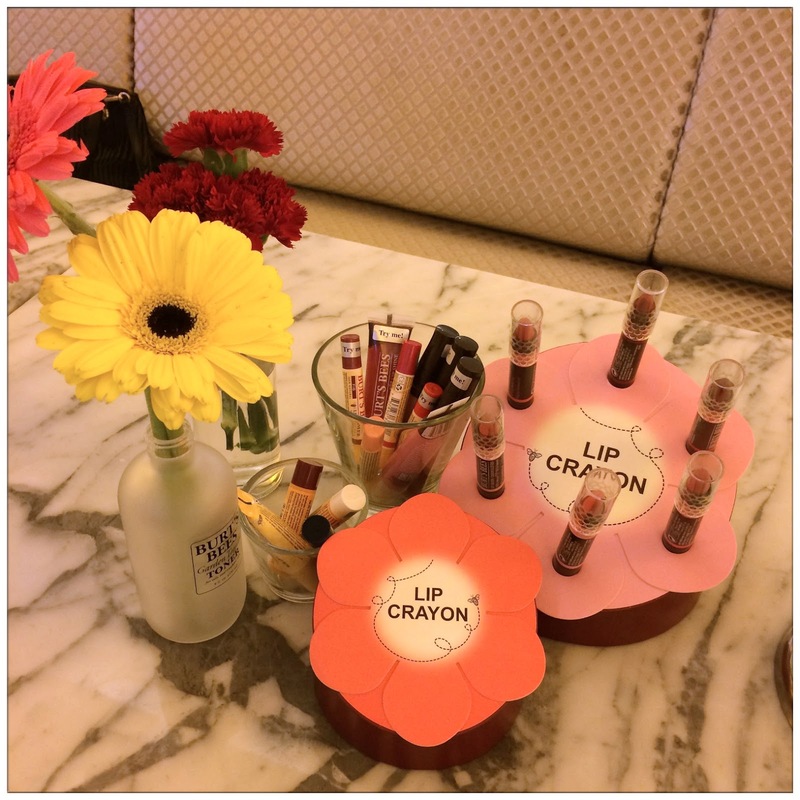 While looking around, testing all those awesome products by Burt's Bees, I saw there's this Layer Play cards and it seems not just we can mix and match in fashion styles, there's a lot we can play with it comes to Burt's Bees lips products too! 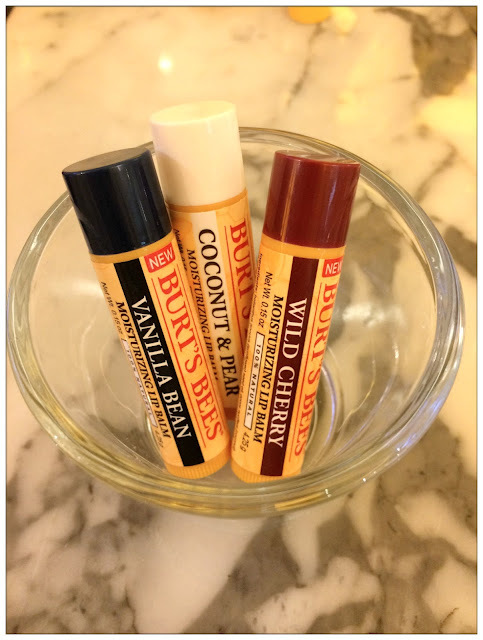 These useful color tips are for longer lasting lip colour when you use two different Burt's Bees products, and also not to mention extra care and moisturization for your lovely lips. 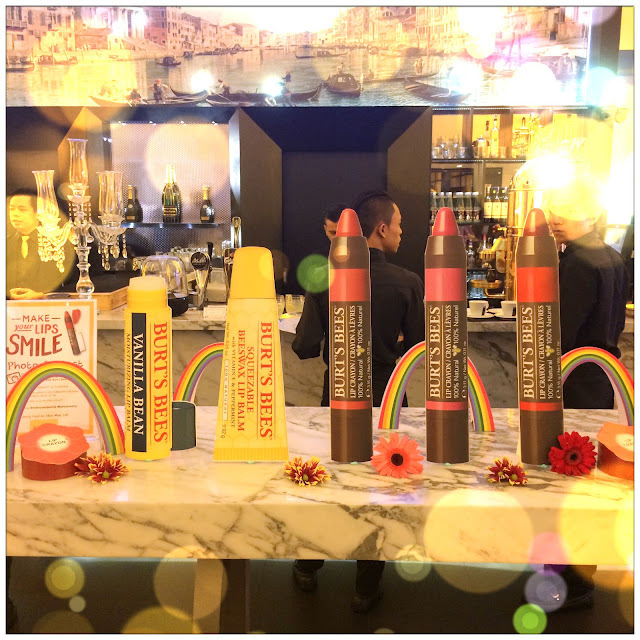 Besides the all new creamy matte Burt's Bees lip crayons, there are also new flavours of Burt's Bees moisturizing balm available for testing that day! They come in 3 new delicious flavours - Coconut & Pear, Wild Cherry and Vanilla Bean. I like both Coconut & Pear and Vanilla Bean. They smell so delicious and natural makes me wanna keep licking my lips (although they don't have any flavours lol). These make perfect everyday lips moisturizing a fun thing to do, especially for someone who is always forgetful like me. 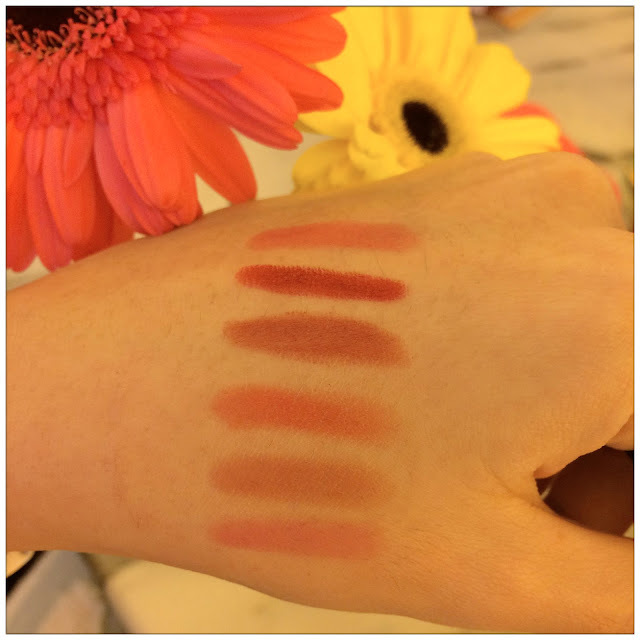 I had a lot of fun trying out all the 6 stunning shades of Burt's Bees creamy matte lip crayon. 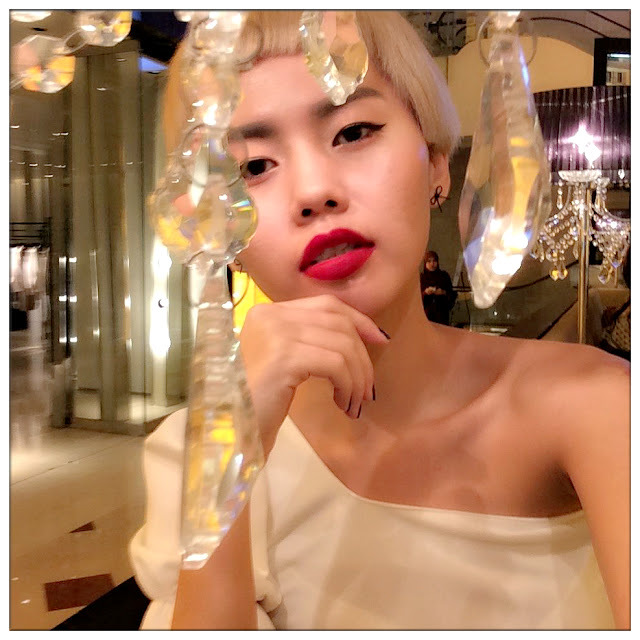 I really love how smooth they glide on my lips, easy application, matte but moiturizing at the same time. Where to get such awesome 100% lip products with all these benefits in one? I reckon only Burt's Bees at the moment. My favourite shade was the Napa Vineyard. 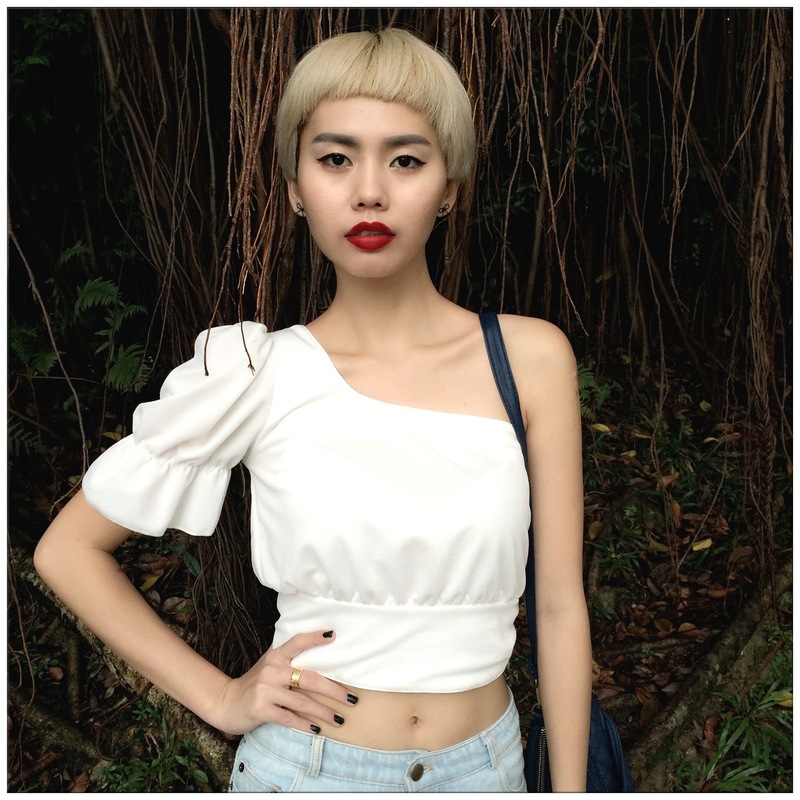 Such luscious and bold colour which makes your look standout immediately! 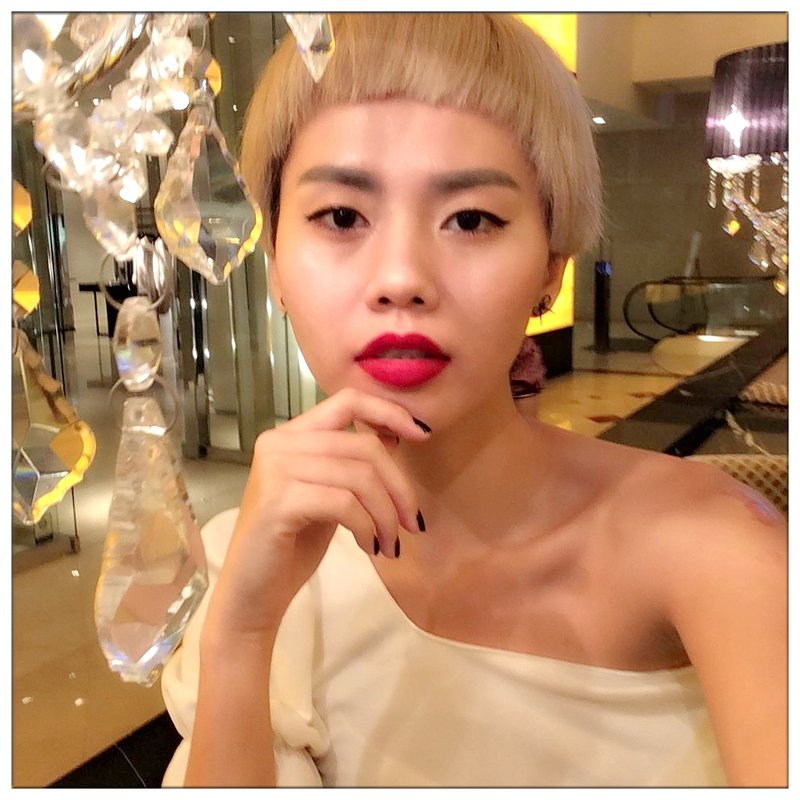 Have a look on the time-lapse video I've created during testing the 6 shades on my lips. I took 2 shots of videos with all the applying all the lip crayons and wiping off with tissues, and surprisingly my lips are still okay! Gotta thanks to all the botanical oils in the lip crayons for keeping my lips moisturized I guess. Napa Vineyard during daylight looks just stunning! Thank you for the amazing colours from the creamy matte lip crayon Burt's Bees. Now I feel like I can take on the world! Share your selfie with Lip Crayon On and the entry photo that get most "likes" will be awarded with Burt's Bees products! How? 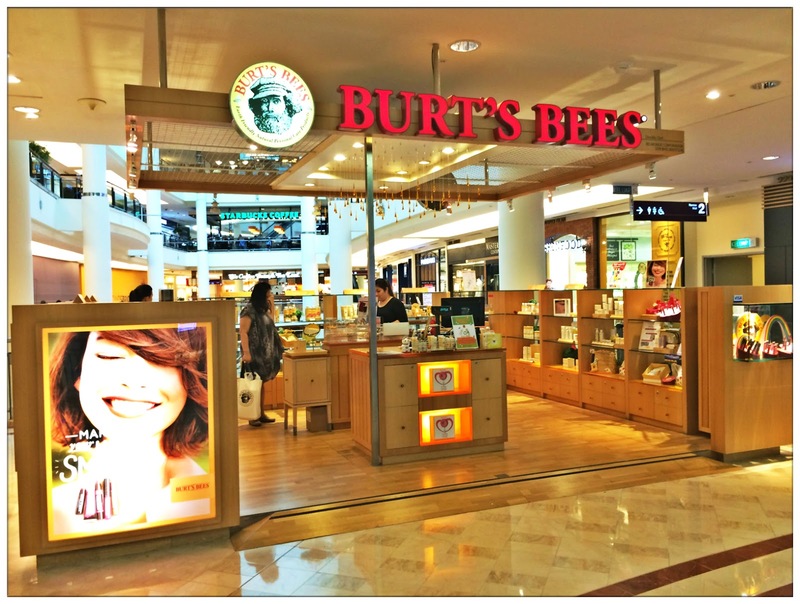 From now till 30th June 2015, readers of my blog and other social media platforms are entitled for a 20% discount of Burt's Bees Lip colours purchased. How? Just remember this promo code: #bbmakeyourlipsmile, tell the promo code to the Beauty Advisor at Burt's Bees Store and voila! Off 20% you go!